The Fellowship was fortunate enough to obtain a copy of ARCHIE #23 from Archie Comics. The story is Mark Waid; with art by Audrey Mok, colors by Kelly Fitzpatrick and letters by Jack Morelli. The town of Riverdale is still in a state of shock regarding recent events. As the Coopers face a somewhat bleak future, Veronica gathers the gang and takes over some of Betty’s volunteer work. Archie wants to help out too, but….well it is Archie. Will the gang…the town recover from this tragic event?? When the “Over the Edge” story arc began, readers were promised that “this will change everything.” I (and apparently several of you) believed there would be a deadlier result of the drag race. Honestly, I thought that would have been a ballsy choice and applaud the move (not that I was rooting for it). After reading this issue, it seems any lasting effects will be more psychological; which can still generate some interesting stories. That being said Mark Waid is still knocking it out of the park on this book, and hope he never leaves. Audrey Mok takes over on art and does a great job. Aided by Kelly Fitzpatrick’s colors and Jack Morelli’s letters, I hope to see this team on the book for a while because it's great stuff. Check it out! 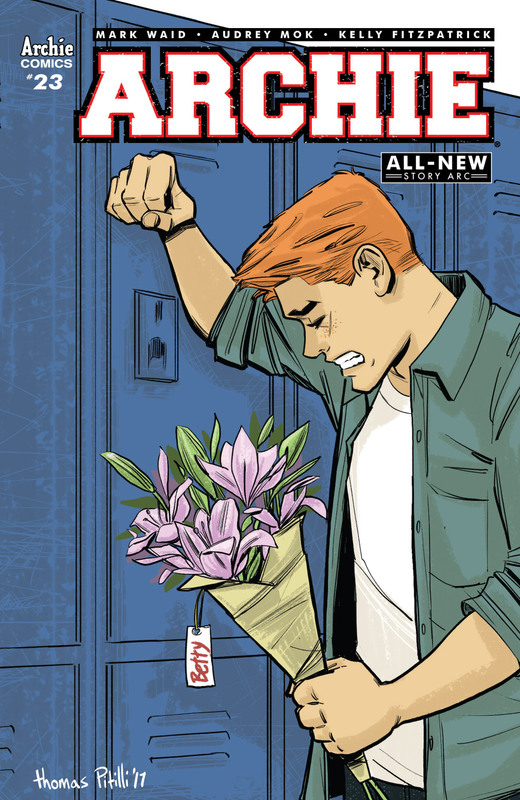 ARCHIE #23 is in stores now or available at www.archiecomics.com.